So Christmas is pretty close now, eh? When did that happen?! I blinked in January and ended up in November! I don't think there are going to be too many gift guide posts from me this year because we've decided to have a fairly small celebration, but there are definitely a couple of things I want to share just in case you're on the lookout for some inspiration. 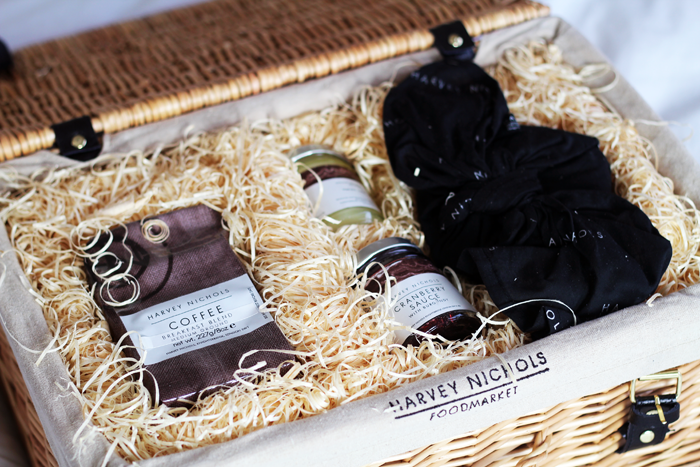 Harvey Nichols got in touch and asked if I'd like to feature their Season's Eatings Hamper*. 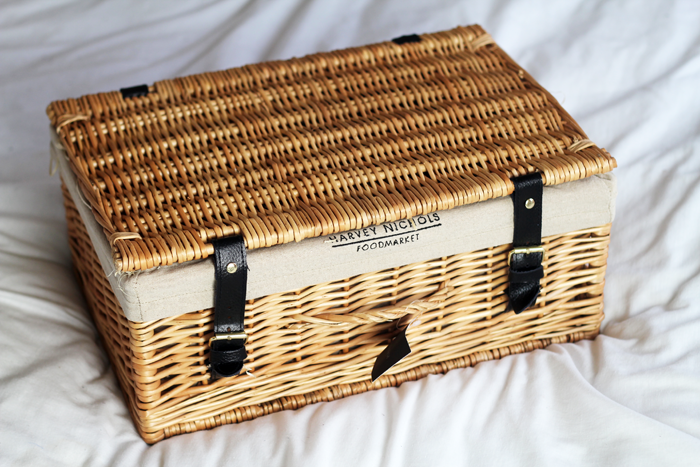 Now I've got a bit of a thing for hampers (there's something so lovely about wicker baskets with an assortment of little treats inside), so I thought I would give it to my Mum to open because she's notoriously difficult to impress. I couldn't resist helping to open it though, and I probably got a little too excited rummaging through the stuffing to retrieve all the treats. What can I say? I guess I'm easily pleased! 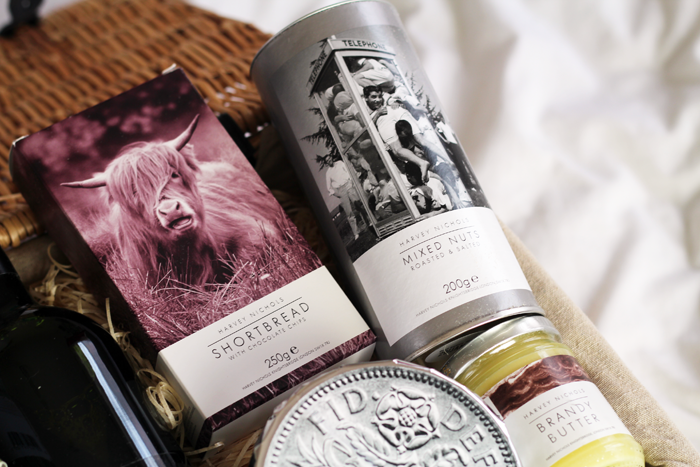 We decided to sample the shortbread (crumbly loveliness!) & the tea (surprisingly good!) almost immediately, with the mixed nuts (not too salty!) following shortly afterwards - for review purposes entirely of course! And let's just say we didn't find it too difficult devouring it all. I would have happily opened up the Christmas Pud too, but apparently it 'wouldn't be right to eat one in November'. It's been stashed away somewhere, but I'm looking forward to it already. At £65 it's not a cheap gift, so I purposely didn't tell my Mum the price until after we'd opened it and she'd has a bash at guessing. She was pretty spot on, thinking it would be around the £60 mark. All in all we both agreed it would make a lovely gift. 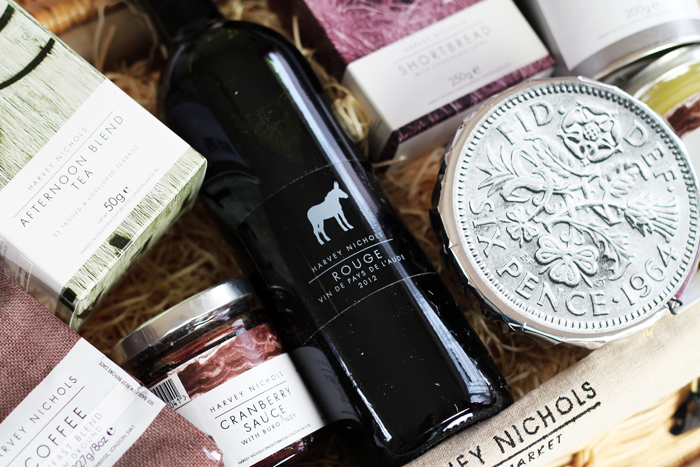 It's nicely packaged with a good assortment of popular festive nibbles inside. 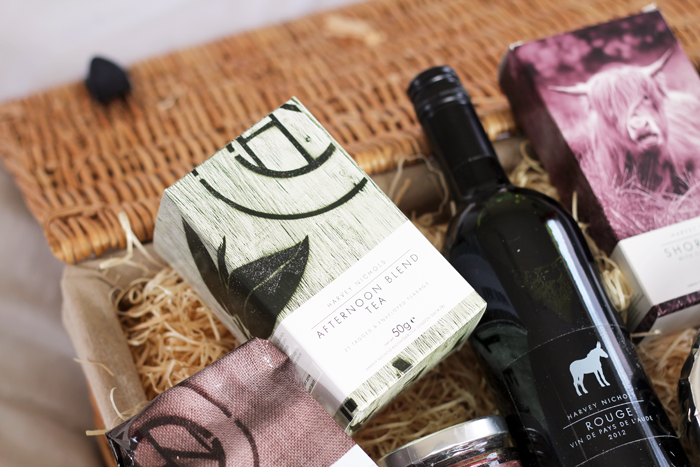 A nice one for that special someone who always proves to be a little tricky to buy for? This would be such a lovely gift. 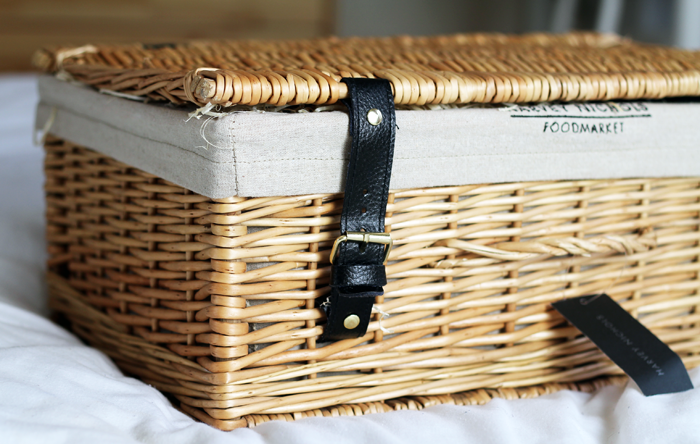 I really want to start taking more picnics. Oooh lala, this looks amazing! I love how you feature Christmas stuff already in November. I too am already way to excited for Christmastime! 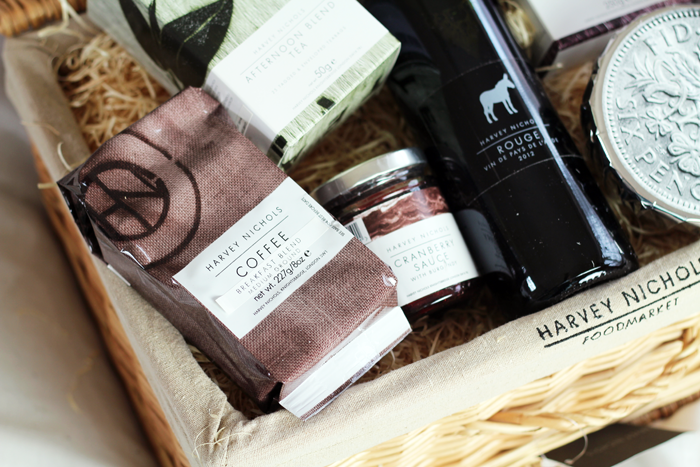 My mum would LOVE this hamper! It would make such a lovely gift. This looks beautiful! I'm super jealous, this would be an amazing gift to receive! definitely expensive, but i love the way it's presented. What a wonderful idea darling!!! <3 My mum would love this gift!!! Thank you for the suggestion <3!!! 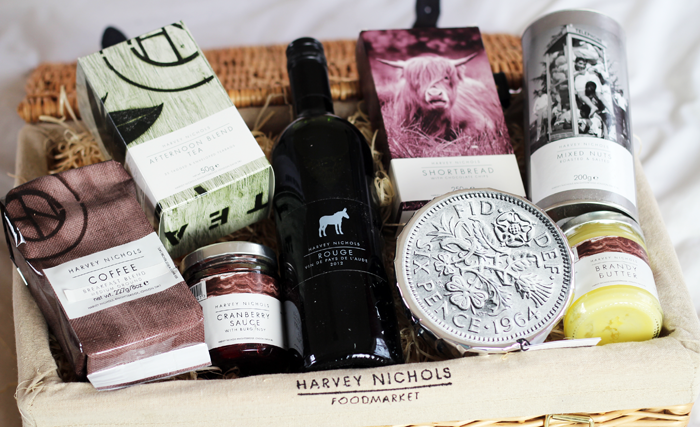 I love hampers just as much! 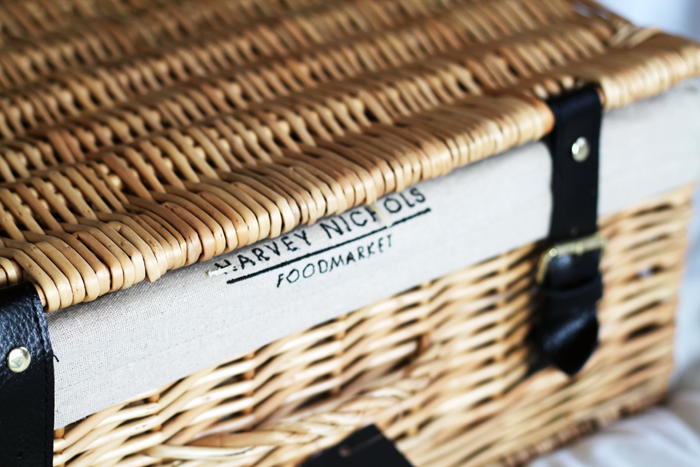 They're so exciting and I like to keep the baskets as well, as they're always such good quality and are great for storage. 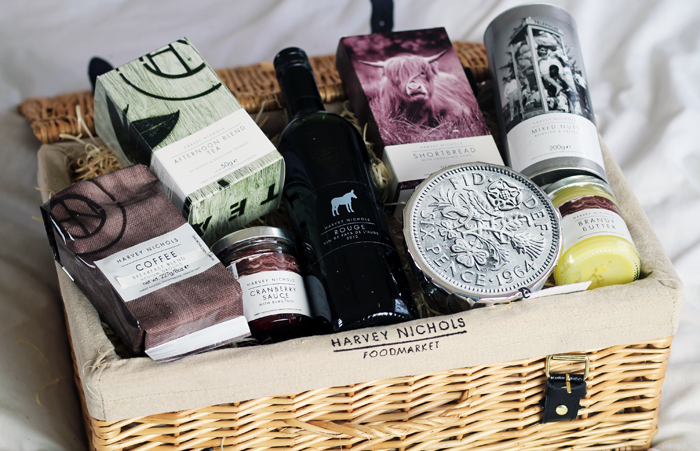 You should take a look at Regency Hampers as well. They have a huge collection! The Edinburgh Preserve Company make some rather nice ones too. Wow, what an awesome luxury gift that would be to get. 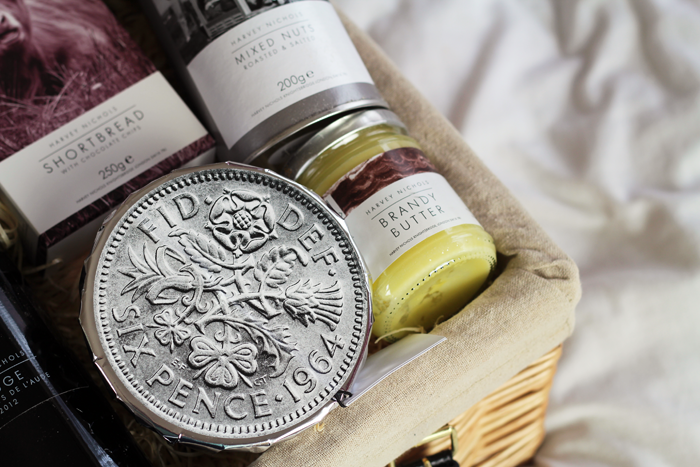 The actual hamper basket is fab to keep too!